Hyderabad: IMT Hyderabad declared the final placement data for the batch 2016-18. Average salary offered has been closed to INR 7 lac per annum. Average in marketing INR 6.71 lpa; Finance INR 7.1 LPA; HR INR 6.27 LPA; Operations INR 9.16 LPA and IT & Analytics INR 6.27 LPA. 38% Student were placed in BFSI Sector and 18% student placed in IT/ITeS Sectors, 13% in retails and 9% in manufacturing and others sectors. Total 63 companies participated in this placement Process. This year top recruiters were Deloitte, HDFC Bank, SBI Life Insurance, ICICI Bank, Amazon, CCD, Capital First Limited and TCS. 35% companies are come for placement 1st time with the few names are: Verity Knowledge Solutions, TresVista Financial Services, Novartis, Kaara Infosystems, Tata Capital Financial Services, TVS Motors, HIL, Home Credit, Vernalis, Vijaya Diagnostics, Walmart, Dukes, APL Apollo Tubes Ltd etc. “Deloitte hired 20 student followed by HDFC 19, SBI Life Insurance 9, ICICI bank and Amazon both recruited 7 students each. 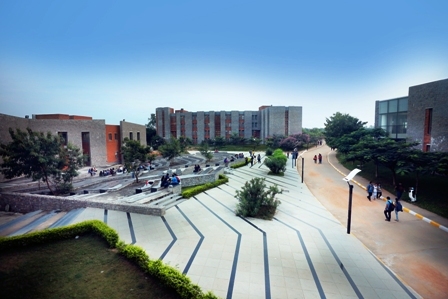 It has been a preferred destination for recruiters in Operations Management followed by Finance and others.” Said Prof. Kalyana.C.Chejarla, Faculty and Chairperson Placement at IMT Hyderabad. IMT, Hyderabad was established in the year 2011 and since then the institute has been contributing to Management Education through its full-time, residential PGDM in different specialisation like Marketing, HRM, IT & Analytics, Operation and Finance. Right from its inception the underlying philosophy of IMT, Hyderabad has been to create well balanced individuals who would be the change agents of future and carry forward the legacy of IMT brand. Previous article​​Make the Best Summer Memories with your Hooligans at Kidzania!